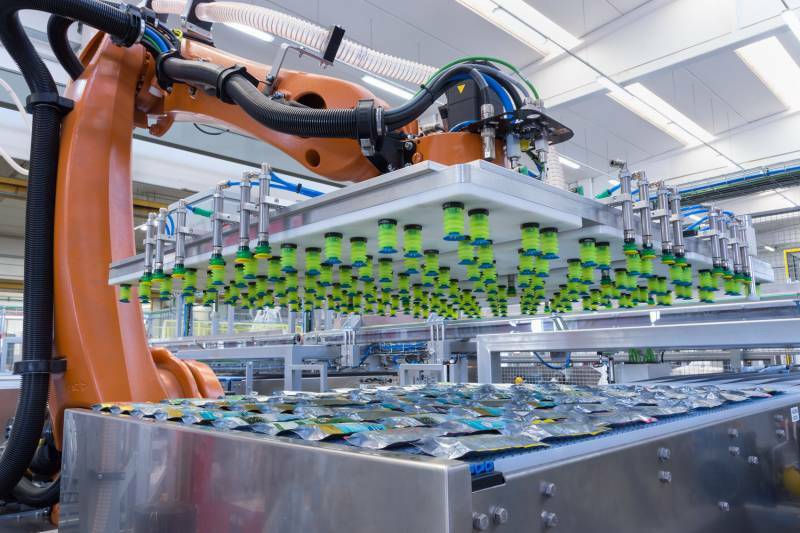 A multinational company leader in the Pet Food sectors order to Clevertech a global solution composed of: unloading system, robotic palletizers fully integrated with stretch wrapping machines and labelling machines and depalletizing system for pouches. Basically, the customer was producing mainly cans packaging. 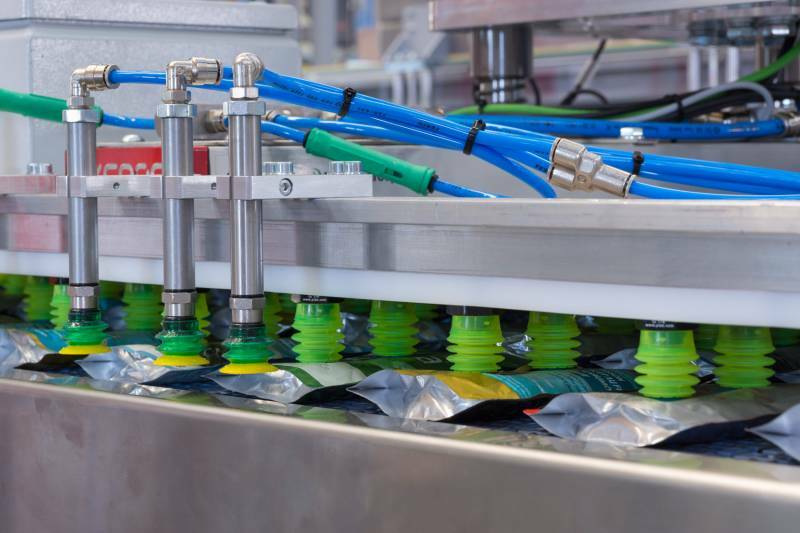 In order to answer to the market requirements, the customer invested in pouches lines with a completely new building specifically dedicated for this new production. The solution provided by Clevertech is the biggest project in the Pet Food sector which has been designed and provided in the strong collaboration with our partners the Cama group. 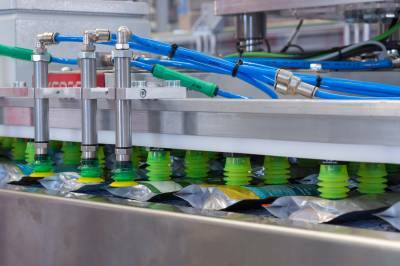 The system supplied, was for all packaging lines for pouches products (50gr & 85gr & 100gr). In this way, the customer was able to get mixed products in different kind of packaging. Clevertech designed and developed a specific unloading system with 4 outfeed lines in order to empty the plastic trays, (after retorting), and to feed the cartonning machine with pouches of our partner Cama. 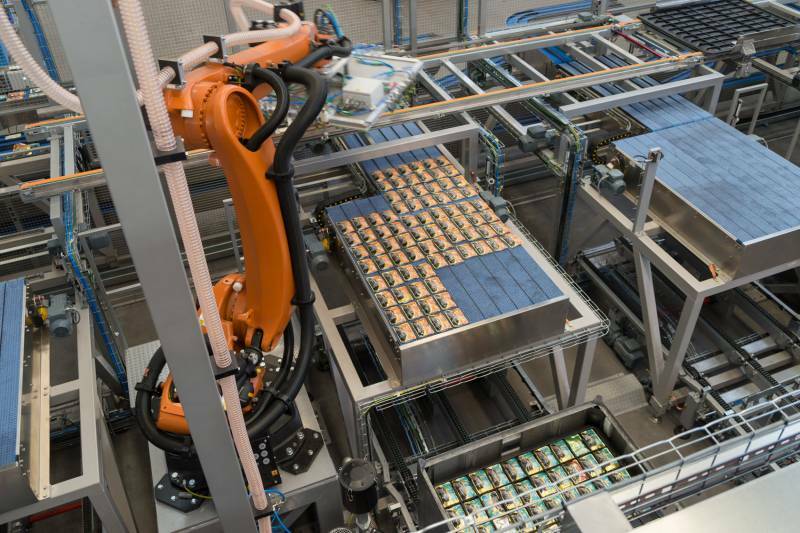 This system, equipped with 4 axis robots allows to mix up to 4 flavours per pack. The second system developed, (EOL) was a robotic palletizer integrated with a stretch wrapping machine Mod. PF 30 with pallet conveying and labelling machine for temporary products. The third machine is a depalletizing system for temporary products with 4 outfeed lines in order to depalletize the layers of temporary products and feed a CAMA case packer machine. This equipment is able to mix up to 4 semi-finished products per final packaging. The last system developed is a fully integrated system for finished products, composed of a robotic palletizing system with a stretch wrapping machine Mod. PF 30 and labelling machine for finished pallets.